What is mentoring and who needs it, anyway? The modern word “Mentor” means “a trusted counselor or guide” (Merriam-Webster, 2011). There are at least two people in a mentoring relationship – the mentor and the protégé – and both can gain valuable new knowledge, insight, and skills as a result of participating in this endeavor. Mentoring is a best-practice in successful companies: 71% of Fortune 500 companies have mentoring programs. Mentoring can lead to more promotions. According to one study, being in a mentoring program resulted in mentors getting promoted six times more often than those not in the program and protégés being promoted five times more often. Mentoring increases retention rates! The retention rates were 72% for protégés and 69% for mentors in the study, but only 49% for employees who did not participate in the mentoring program. However, mentoring is not limited to those whose employers offer a formal program. In our highly connected world of social networking, new mentoring relationships are emerging as a result of savvy employees (and their employers) making connections and joining groups where they have access to potential mentoring matches. Eager learners and seasoned veterans who are willing to mentor them can easily connect and begin a consensual, mutually beneficial mentoring relationship. Mentoring relationships are most frequently conducted on a one-to-one basis. However, mentoring can also take place in groups or one-to-many arrangements. Finally, while most mentoring relationships last for a predetermined period of time (usually nine months to one year), you can also arrange situational mentoring relationships to address a particular learning need or issue. 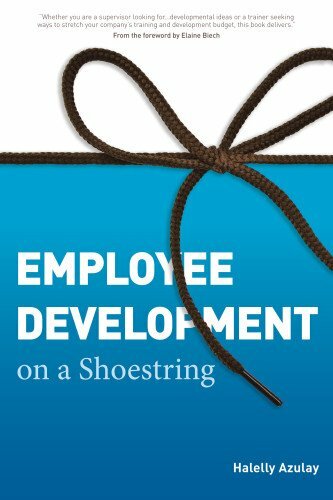 As I described in Employee Development on a Shoestring, there are certain characteristics and attributes that you should look for to assess someone’s fitness for a mentoring relationship. are willing to provide open, honest feedback. are committed to following through on action items and assignments. Incorporate a mentoring strategy or program in your own organization, department, team, or even just for yourself. Here are seven tips to help you ensure its successful implementation. Mentoring should be voluntary, not mandatory. Make every effort to allow the mentor to be selected by the protégé. Both the mentor and the protégé must opt in and mutually commit to the mentoring process. Compelling either party to the relationship can lead to poor adherence, “deadbeat” participation, and ineffective results. In a mentoring relationship, the protégé is the driver. Because protégés are the primary beneficiaries of the relationship, the onus is on them to schedule meetings, send agendas, report and follow up on progress and action items, and initiate communication with their mentors. Preparation optimizes results. Prior to each mentoring session, protégés should prepare and send an update to their mentors in order to help focus the session for optimal results. They should include things like what they’ve accomplished since their last session; what action items were not accomplished and what got in the way; the challenges and opportunities they’re currently facing; and the support they want from the mentor during the upcoming meeting. Create an ‘Exit Strategy’ upfront. Encourage the mentoring partners to have a predetermined “exit plan” should either one feel at any point that the relationship is no longer beneficial or effective for any reason. Ensure confidentiality. Mentors and protégés should agree to hold the content of their developmental work together in confidence. [Optional but great to have] Strong senior leadership support can encourage participation and help reinforce the program’s importance. It can help prevent the problems caused by mixed messages that employees receive from unsupportive leadership about where they should put their priorities (usually not on mentoring). [Optional but great to have] Train both mentors and protégés on how to make the most of the program. Ideally, train mentors and protégés separately so they can feel encouraged and free to ask questions, express concerns, and share ideas with peers. How have you benefited from a mentoring relationship? What are your tried-and-true tips for success in mentoring or being mentored? Chime in via the comments below!